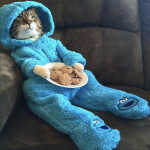 The U.S. Embassy in Canberra, Australia apologized Sunday for an email featuring a photo of a Cookie Monster costume-wearing cat holding a plate of chocolate chip cookies, according to the Australian Associated Press. Two days after the Senate confirmed Brett Kavanaugh to the Supreme Court, Senate Majority Leader Mitch McConnell said GOP senators were “literally under assault” during the confirmation process at a press conference in Kentucky Monday. 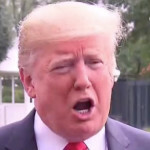 President Donald Trump sounded off on the Democrats’ treatment of the newly confirmed Supreme Court Justice Brett Kavanaugh as he got ready to board Air Force One with Deputy Attorney General Rod Rosenstein Monday. President Donald Trump chatted about Rod Rosenstein as the two got ready to board Air Force One to a police chiefs’ conference in Florida Monday. Brett M. Kavanaugh is set to be sworn in later Saturday, according to a Supreme Court press release. President Donald Trump took time to congratulate the Senate for confirming Judge Brett Kavanaugh to the Supreme Court while en route to Topeka, Kansas for a Make America Great Again rally Saturday. Minutes after Judge Brett Kavanaugh was confirmed to the Supreme Court, President Donald Trump tweeted that he asked Sen. Steve Daines (R-MT) to not skip his daughter’s wedding for the vote. President Donald Trump praised Sen. Susan Collins when he took questions outside the White House Saturday about the pending final vote for Judge Brett Kavanaugh’s Supreme Court nomination. In an interview with the Washington Post just hours before the final vote on Supreme Court nominee Brett Kavanaugh’s nomination Saturday, Senate Majority Leader Mitch McConnell called the opposition against the judge a “great political gift” for Republicans ahead of midterms.